Pope Francis broke protocol when he ordered his so-called ‘popemobile’ to a halt so that he could assist a mounted policewoman who was thrown from her horse. 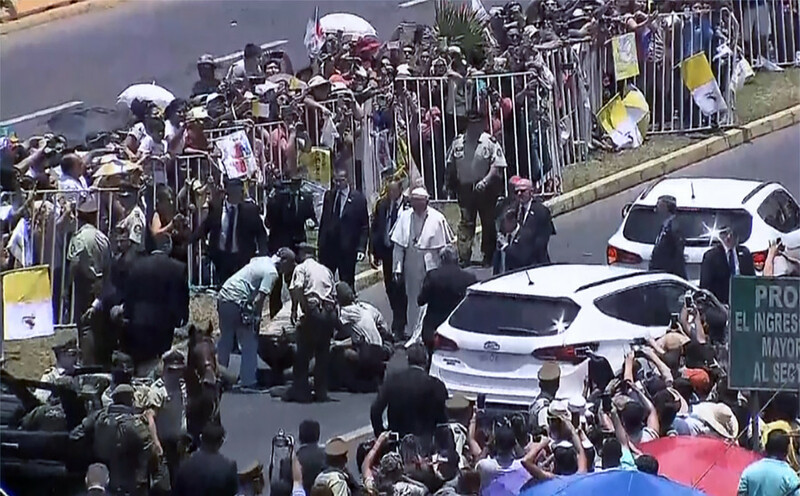 The officer fell off her horse while escorting the pontiff as he waved to crowds in the city of Iquique, northern Chile. The pope reportedly waited by the stricken policewoman’s side for several minutes until an ambulance arrived. 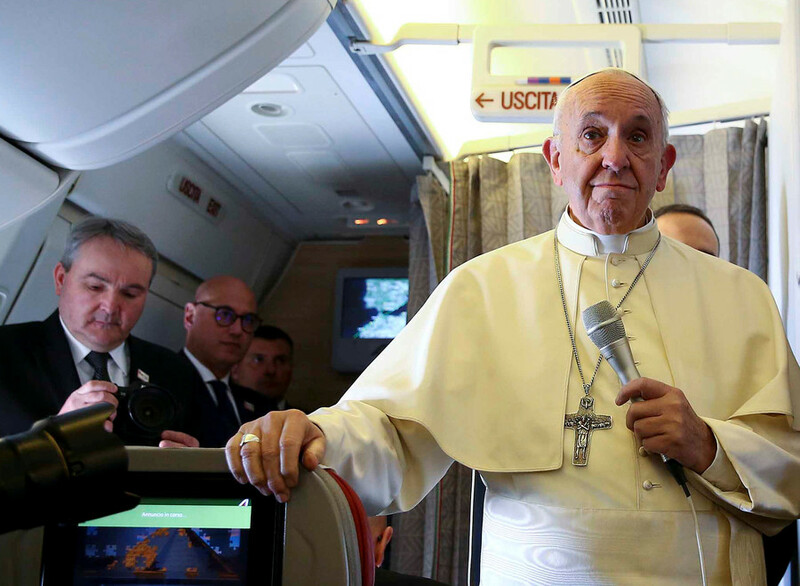 Pope Francis has been busy on his first official visit to Chile. 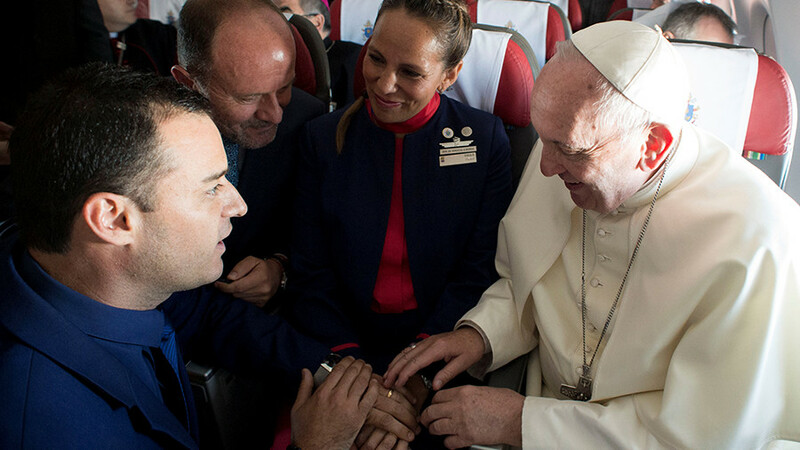 While flying to Iquique, the pontiff performed his first ever airborne wedding when two flight attendants tied the knot. The trip has not been without controversy, however, with many Chileans voicing disapproval at the pope’s decision to appoint a bishop, mired in a sexual abuse cover-up case, as head of a diocese. 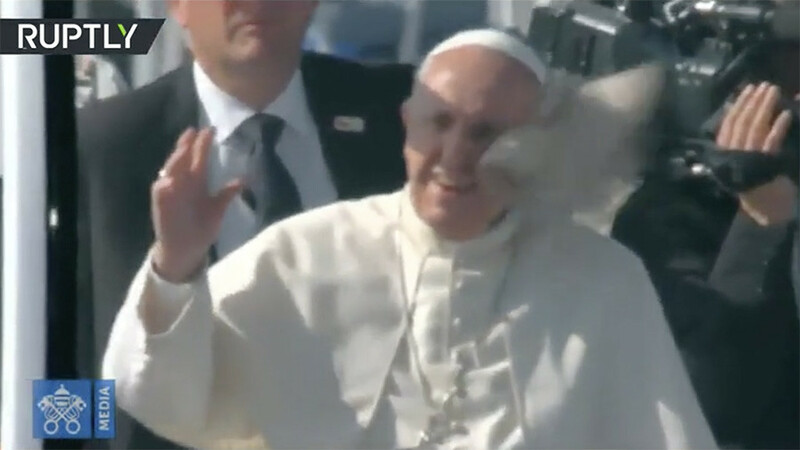 The pope was also hit with a towel as he greeted crowds from the popemobile on his way to an open-air Mass in Chile’s capital, Santiago.